New or Updated Custom Field - Triggers when you add/update a selected custom field on a user. New Subscriber - Triggers when a user subscribes to your page. New Tagged User - Triggers when a new tag is added to a user. New “Trigger a Zap” Event - Triggers when your bot sends the “Trigger a Zap” event. Chat Opened - Triggers when a chat is opened with a user. Find User by Name - Finds a user by name. Find User by ID - Finds a user by ID. Find User by Custom Field - Finds a user by custom field. Subscribe User to Sequence - Subscribes a user to a sequence. Send Text Message to User - Sends a message to a user. Set Custom Field - Adds or updates a custom field value for a user. Remove Tag From User - Removes a tag from a user. Add Tag to User - Adds a tag to a user. Send Content to User - Sends a content to a user. 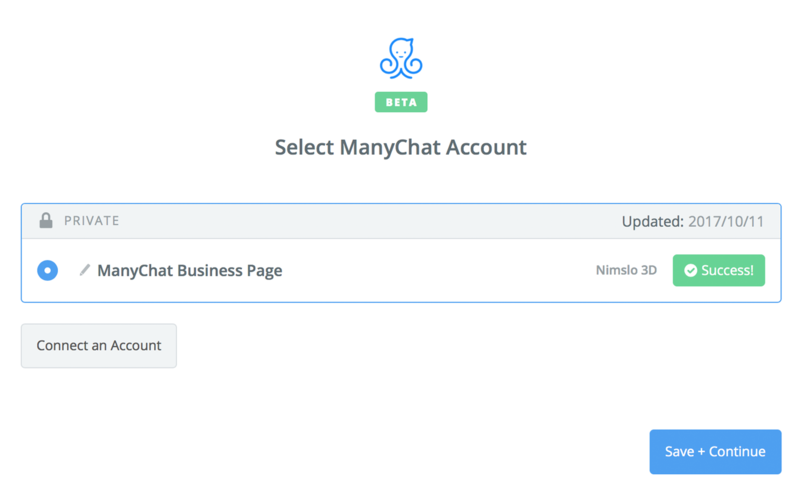 Paid/versioned account: Only ManyChat "Pro" accounts will work with the Zapier integration. 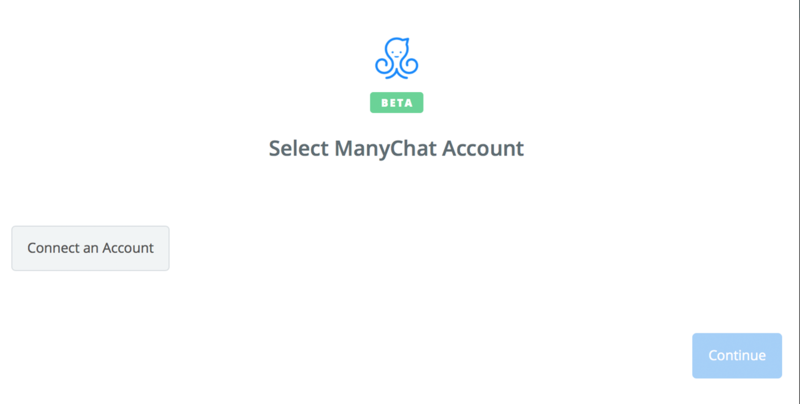 If all steps were successful your ManyChat account will now be successfully connected.